Here's another jewel from Serious Eats series, The Nasty Bits: yummy cow tongue, complete with that lovely texture we all know so well. Though most us likely have a negative visceral reaction to the idea of tongue, Serious Eats make a compelling argument that it is actually one of the tastiest bits of the animal. "Running my hand over the length of the cow's tongue, I scrutinized the bumpy projections on its surface. Later, I learned that these projections, called papillae, contain the taste buds. Like rows of sea anemone or a neatly organized pin-cushion, the papillae uncannily resembled my own, only on a much larger scale. Wiggling my tongue in an absentminded manner, I felt the layers of muscles on the base of the cow's, and imagined the way it must have moved in the mouth of the ruminating beast. The tongue was large and weighed a few pounds; holding it in my hands, I could fathom, just for a moment, the deep aversion to offal that many eaters have. And then, I grew hungry. The tongue is delicious. 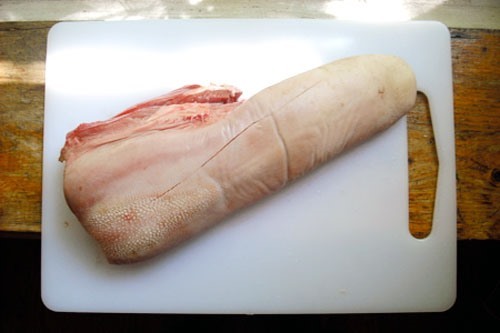 Like other tough cuts, it must be cooked for a lengthy period of time to become palatable, but when given the proper treatment, the tongue is tender yet beefy, with a pleasantly chewy texture resembling that of a well stewed gizzard or heart. If you haven't had either, think of the richness and creaminess of beef short ribs." 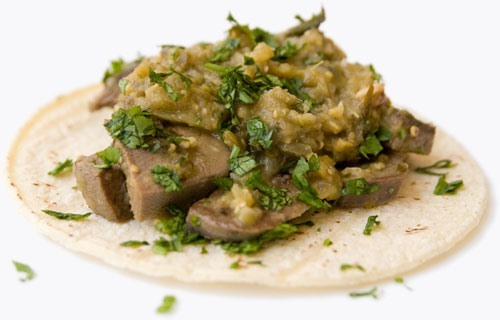 If you've been converted, check out Serious Eats' recipe for Lengua en Salsa Verde (tongue tacos). Looks delicious! Previously, HowTo: Bring a Dead Frog Back to Life (and Then Eat it). HowTo: Roast a Pig on a Spit. The outer bumpy skin of the tongue is optional, you don't have to eat it. If that is what is giving a person the creeps you can just strip it and prepare the rest of the tongue. 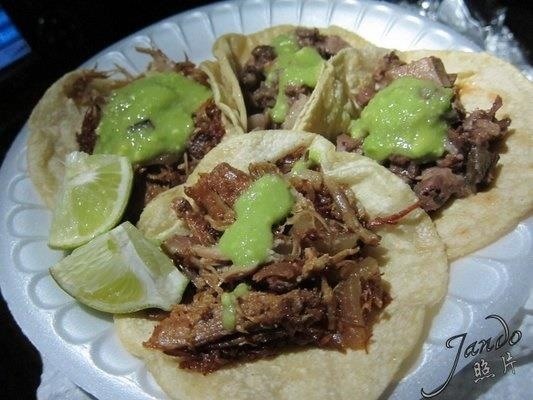 But honestly, once it's in taco form, you'll never really see it. Eating pig or chicken feet, now that's a challenge. OMG , that's sick !! !